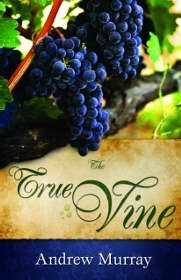 Description: In this thirty-one day devotional, Andrew Murray draws upon the gospel parable of the vine and its branches to illustrate the beautiful relationship we are meant to have with Christ. The fullness of God's merciful loving kindness awaits you. You can come through life's greatest difficulties safely, and every longing of your heart can be satisfied. Discover that as you daily abide in the Vine, your branch will grow and bloom, enriched by the nourishing presence of the Lord.